Last Saturday Tiger roll became the first runner since Red Rum to win two Nationals on the trot. 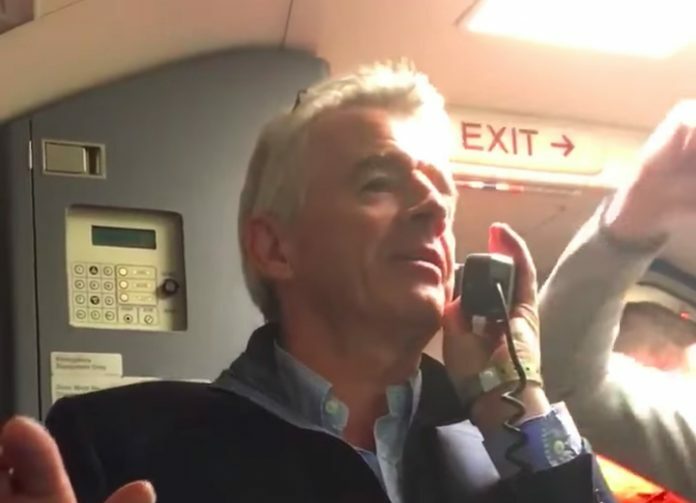 Jubilant O’Leary was in the mood for celebrating on the flight back to Dublin. we’re having a free bar on board this flight. The 45-minute flight was the 19.25 service out of Liverpool John Lennon. It was delayed until 20.45 but that didn’t dampen his spirits. O’Leary said: “I would say it was the happiest delayed flight ever. Among the passengers were winning jockey Davy Russell and Tiger Roll’s trainer, Gordon Elliott. Delta’s seat initiative: Is this the beginning of the end for full reclining seats on short haul flights?